Do you have a constant ringing sound in your ears? Do you struggle to sleep or concentrate in quiet places? Can you hear unexplained noises in time with your pulse? If so, you could be suffering from a condition known as tinnitus. Dove Hearing have over 40 years experience in diagnosing and finding suitable tinnitus treatment in our Burton hearing centre. We use the latest technology to find out the underlying cause of the tinnitus before going ahead with the treatment. Your tinnitus treatment will depend on the underlying cause of the condition. Tinnitus can be caused by a buildup of earwax that simply needs to be removed. It could also be a problem with the inner ear or middle ear such as Meniere’s disease. Whatever the problem, our hearing experts will carry out a range of tests and will be able to find the cause and prescribe the correct tinnitus treatment. Many people suffer in silence with the condition but there is really no need to. Tinnitus can have a massive effect on your life and make it hard for you to concentrate or get to sleep. It can even cause more serious conditions such as depression and anxiety. 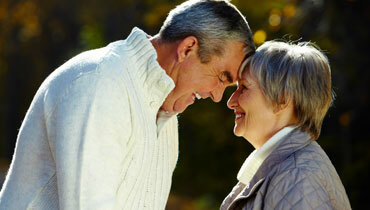 Our customers are often amazed the difference our tinnitus treatment can make. Your hearing can greatly improve along with the quality of your life. If you have any further queries then please do not hesitate to contact us. Our friendly team will be delighted to help with any queries you may have about our tinnitus treatment. Dove Hearing are the leading hearing experts in Burton and across Staffordshire and take huge pride in delivering a friendly and effective service for our clients. Alternatively, you can pop into our Burton hearing centre today for a chat with one of our consultants.